If you are in charge of communicating with your external auditors, we advise that you review the following. Ask yourself if any of the tips below apply to you. 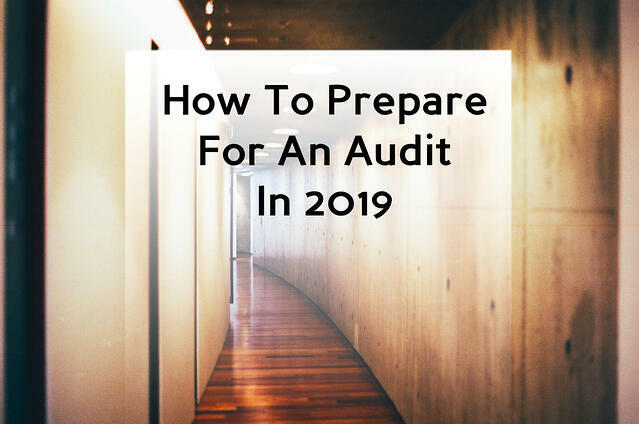 Being prepared will not only reduce the headache involved with finding the answers to your auditors' questions but will also reduce the overall cost of your audit by increasing your auditors' efficiency. 1-Post all prior year audit adjustments to your accounting records. Audit adjustments are corrections to the general ledgers proposed by auditors that auditees are responsible for recording in their general ledger. If you were subject to a prior year audit, you might have received a list of audit adjustments from your auditor(s). Auditees are responsible for making these adjustments before their current year audit. Learn more about audit adjustments from Accountingtools.com. 2-Verify the prior year ending balances. Verify that the prior year ending balances on your trial balance agree to the prior year audited financial statements. To do this: The current year beginning balance for retained earnings must agree to the prior year ending balance for retained earnings as shown in the prior year audited financial statements. 3-Ask your auditor for an audit information request list Before Year End! Set aside what your auditors need as you come across them while closing your books. This way you can kill two birds with one stone, as opposed to going through everything twice. Make sure to have everything on the list ready to give your auditor on the first day of the audit fieldwork, if not before. Being proactively prepared will increase the efficiency of the audit, which in turn will reduce the overall cost of the audit. 4-Inform your auditor of any changes that might affect the audit. The earlier you inform your auditor of any changes that occurred during the year under audit the better prepared they'll be for accommodating these changes. It would be best if you informed your auditor about anything different from the prior year that could potentially slow things down. If your auditor is made aware of these changes they may be able to reduce the time it takes to recover from any issues that may arise and/or prepare accordingly. 5-Inform your auditor of any schedule changes as soon as possible. Auditors have many clients, and during audit season they have to strategize how to juggle these clients' audits and deadlines. In any instance where you need to change the scheduled date of your audit, inform your auditors as soon as possible. Chances are they'll have to reschedule audits with other clients to accommodate this change. Your auditors' busy schedule is another reason why it's important to utilize the audit information request list (See tip #3). Not having everything on the If you're unable to provide all the information needed to complete your audit on time talk to your auditor to come up with a plan. 6-Compare current year balances to prior year balances. Many auditors perform analytical procedures by comparing current year balances on your trial balance and financial statements to prior year balances. Get ahead by doing this comparison yourself. Be ready to explain any significant variances between the current and prior year balances to your auditor. Provide your auditor with supporting documentation that justifies the significant variances (if any). Note: This is another tip that only applies to auditees who underwent a prior year audit. Sometimes auditees receive internal control related management comment letters which notify them of issues found during an audit. If you have any questions about these issues or how to remediate them, contact your auditor. 8-Review any proposed audit adjustments for the past few years. Review any proposed audit adjustments for the past few years. Try to identify any ways you can avoid having to make repeat adjustments. 9-Provide your reports in Excel. Most auditors prefer information in excel such as trial balances, general ledgers, accounts receivable and accounts payable aging reports, etc. If your accounting system allows, please send information in excel format. If you use QuickBooks, here's a video on how to export reports to excel. If you use Peachtree, here's a video on how to export reports to excel. 10-Number your journal entries in sequential order. i.e., 1, 2, 3, or 2017-1, 2017-2, etc. Having ordered journal entries helps your auditor identify whether they are missing any journal entries when they receive your journal entry report. 11-Track and save documents that may pertain to your audit throughout the year. Your auditor should be more than happy to share specific advice on how you should prepare for your audit based on their knowledge and experience with you as well as other audit clients if you are a new client.